As his mother and older sister are dentists, Dr Fady decided to become a dentist as well. I’ve grown up watching my mother practicing dentistry and I was inspired by her passion for the profession. Dr Fady finds fulfillment in being able to ease patients’ fears about dental treatment and educating them about improving dental health. It’s highly gratifying for him to also relieve patients of their dental pain and ultimately put a smile on their faces. Dr Fady stays abreast of the latest in dentistry by regularly taking professional development courses. To date, he’s taken ones on Implant Restoration, Clear Aligner Therapy (Invisalign®), Orthodontics, and Digital Smile Design. 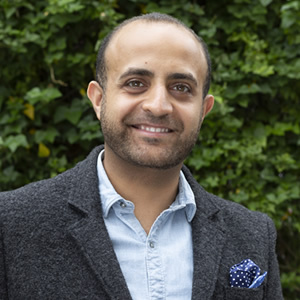 Outside of the practice, Dr Fady enjoys reading, cycling, going to the gym, travelling and spending time with family, friends and with his gorgeous dog Charlie. Contact us today to book an appointment with Dr Fady!